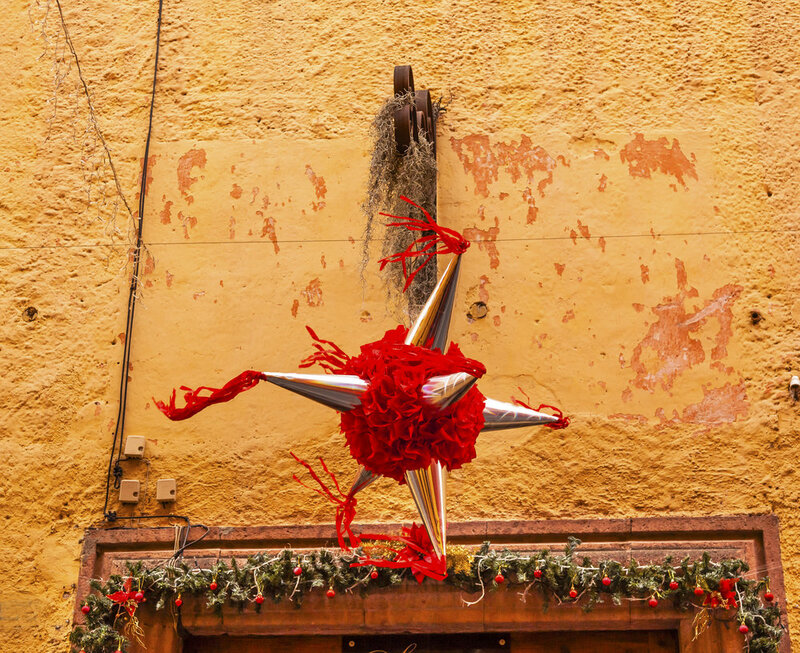 Las Posadas been celebrated throughout Mexico’s towns and villages for over 400 years and continues to this day strengthening the bonds of community over Christmas time. As the last golden drop of sunlight slips beneath the horizon and the stars begin to appear one by one, a group of weary travellers tentatively take to the streets to begin their pilgrimage. Leading the procession is a women draped in blue robes and heavily pregnant. She leans on the arm of a man clothed in the humble dress of a carpenter as he leads her slowly forward. Behind the stoic couple a crowd is gathering, tiny angels, shepherds, kings and townsfolk light the way with paper lanterns, their breath rising in curling wisps on the cold air. As the pilgrims reach the first house, a desperate song for shelter fills the air. From the barred door comes a rough retort, there’s no room here, go on. The wayfarers struggle forward, at the next house they call again, in heaven’s name I beg you for a room, but they are turned away once more. Have mercy on the queen of heaven they cry, but the doors remain unyielding. As they approach the final house, with all their might they plead, my wife is María and a mother to be. And you are José, enter pilgrims, the innkeepers cry, we didn’t realise! Once inside, the guests are lead to a sprawling, twinkling Nacimiento (nativity scene) where they kneel together in prayers of thanks. The famished wanderers are then welcomed with warm cider, atole (sweet corn drink) and ponche (fruit punch), and invited to feast on tamales (steamed corn dough) and buñelos (spiced fritters). Merry once again, the night rolls on imbued with songs and laughter as the youngest take gleeful turns to scatter the sweet offerings of a starred piñata. The astral enchantment spins and swings over the heads of the expectant players, each blow feeding the fire of anticipation blazing in their hearts. As the star of Bethlehem drew the wise men to a new life filled with promise, the pointed piñata is a beacon of hope for a sweet future. To celebrate the nine months of the Virgin Mary’s pregnancy with baby Jesus, this festive ritual is repeated over nine nights ending on Christmas eve. It’s roots trace back to the Catholic missionaries of the Spanish conquistadores, who seized the opportunity of a coinciding Aztec festival to seamlessly merge their religious pageant into the Mexican tradition. 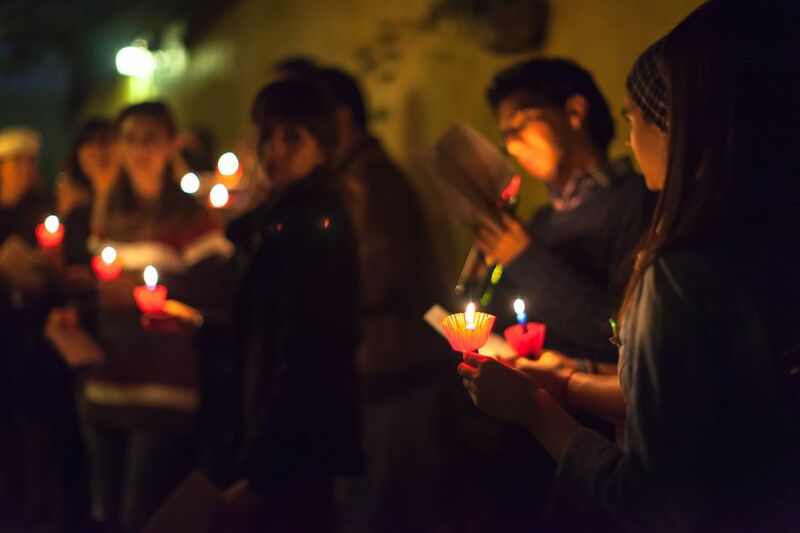 Las posadas has since been repeated throughout Mexico’s towns and villages for over 400 years and continues almost unchanged to this day strengthening the bonds of community over Christmas time.